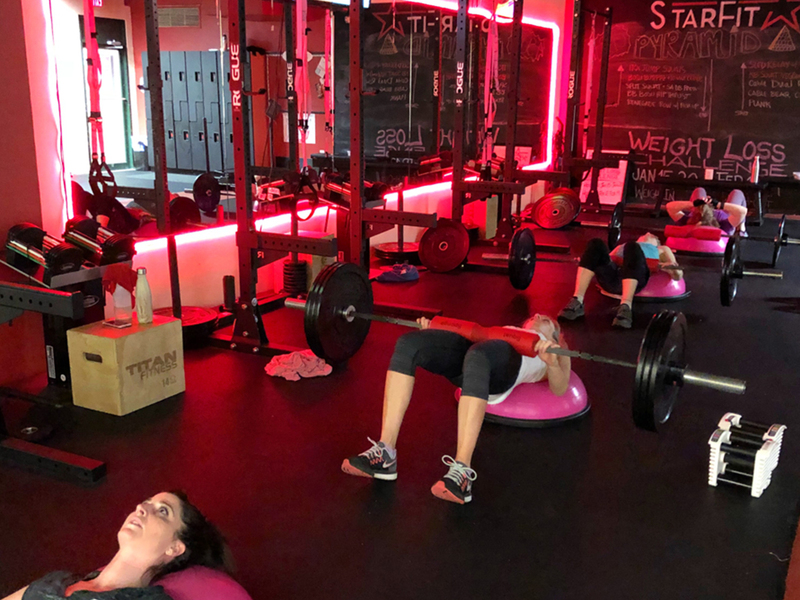 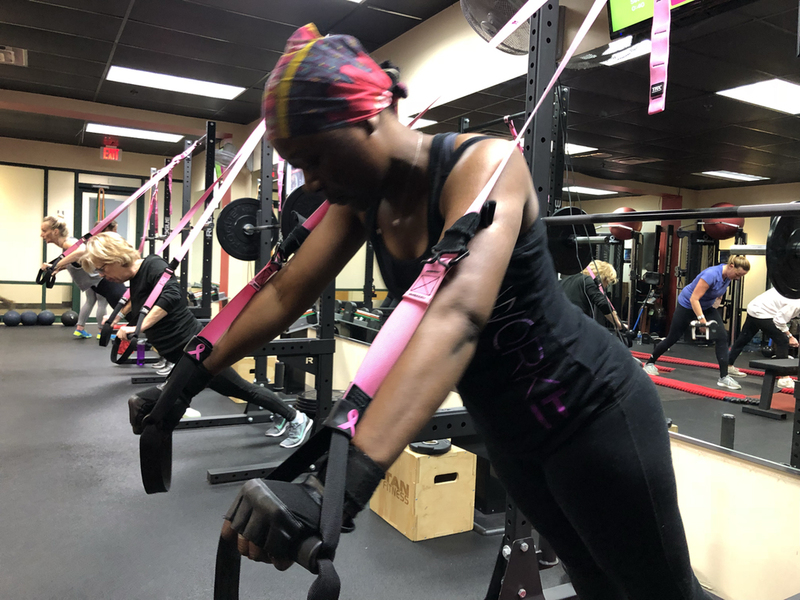 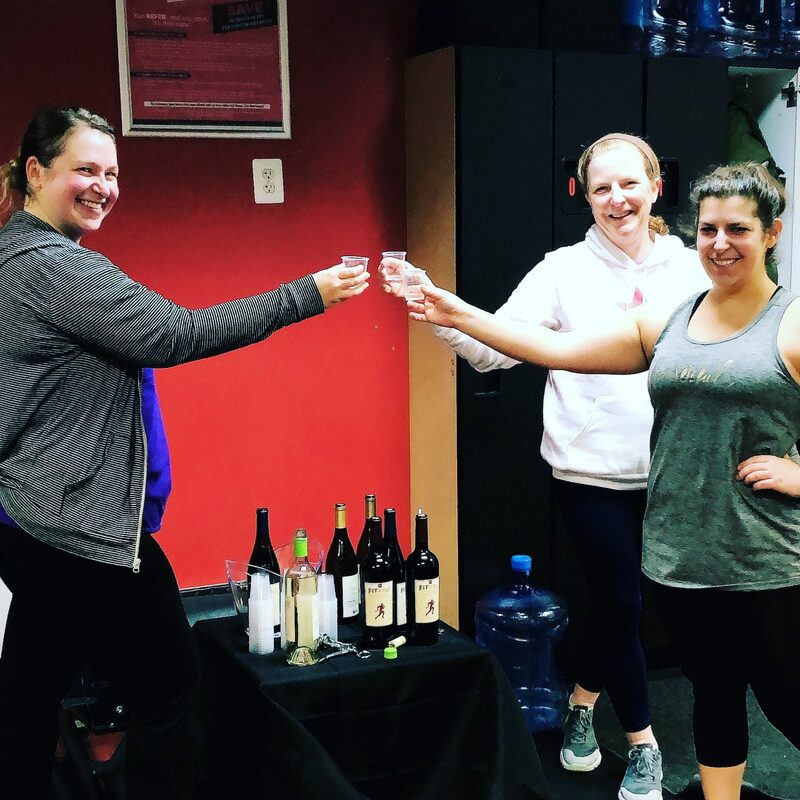 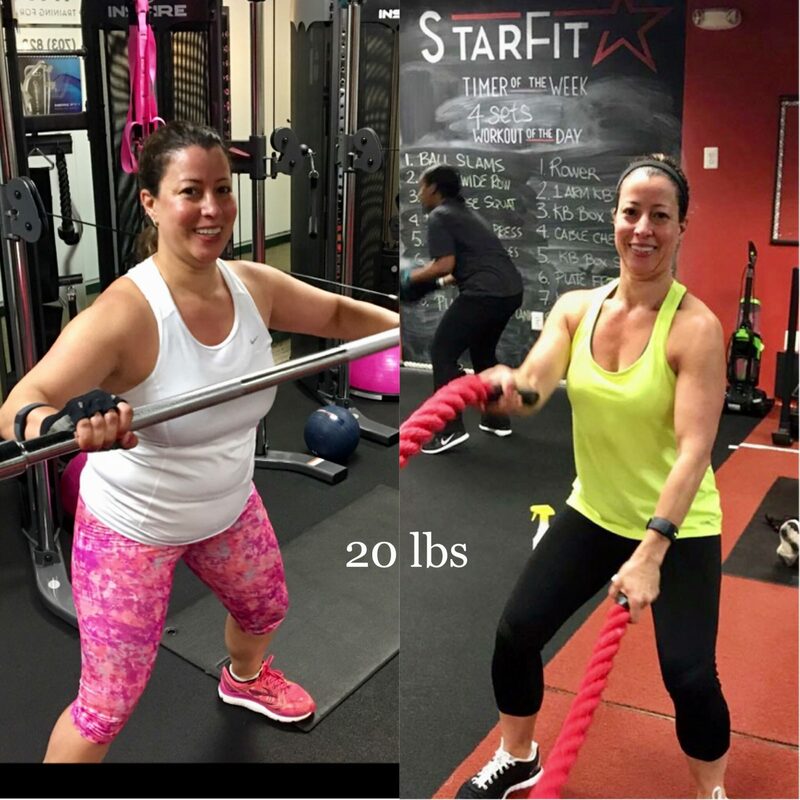 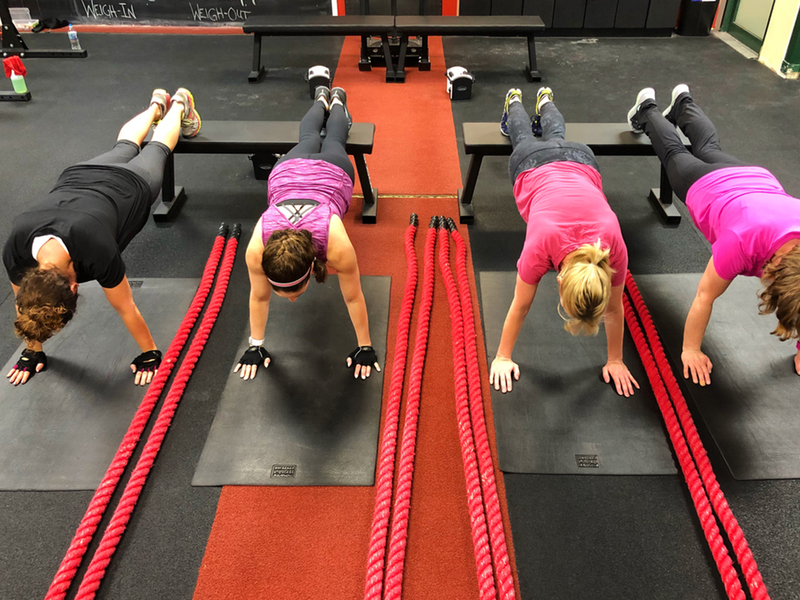 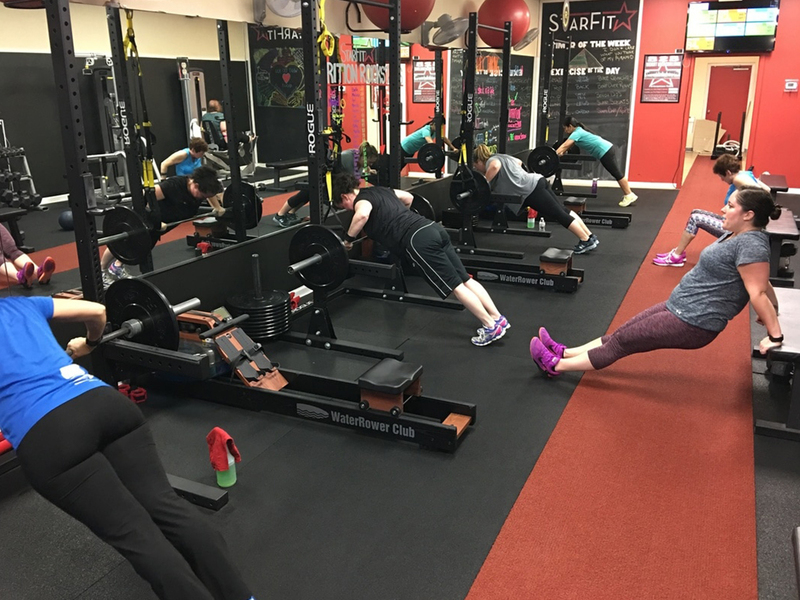 StarFit™ Studio is a boutique fitness studio that specializes in small group training designed specifically for women. 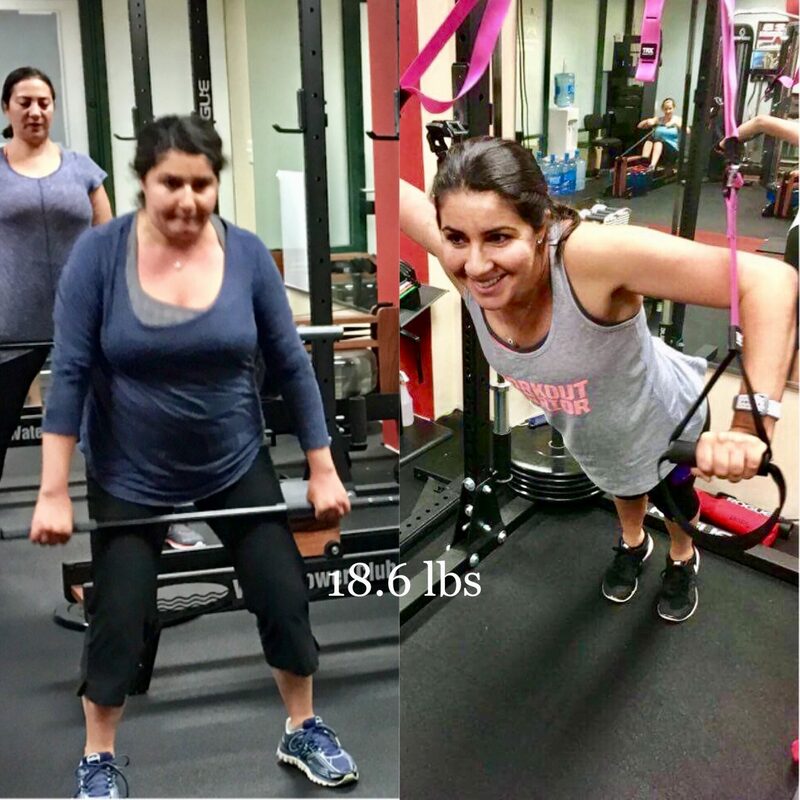 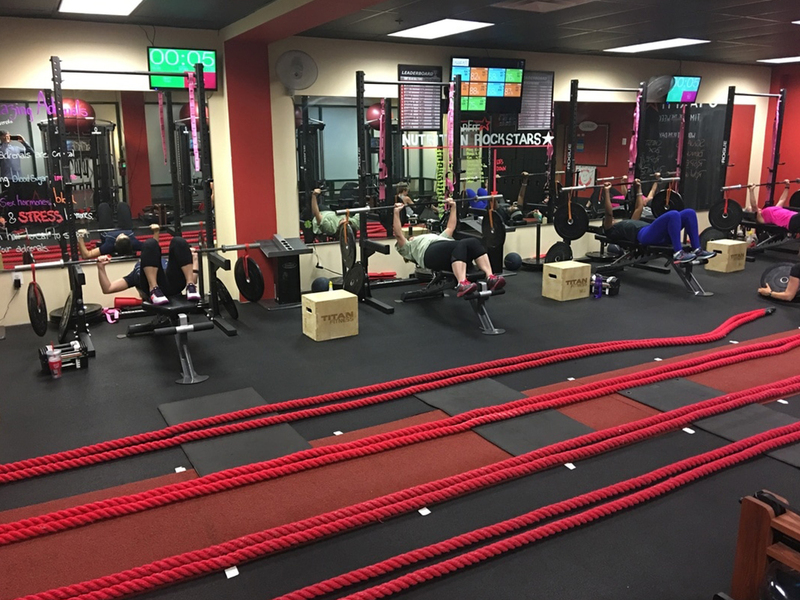 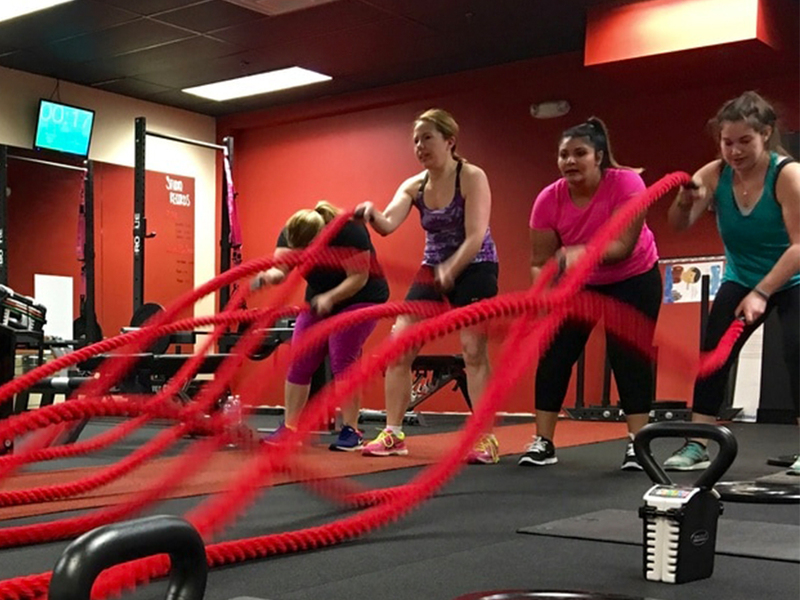 We specialize in one-hour long strength and conditioning classes where clients can burn more than 1,000 calories in a single workout. 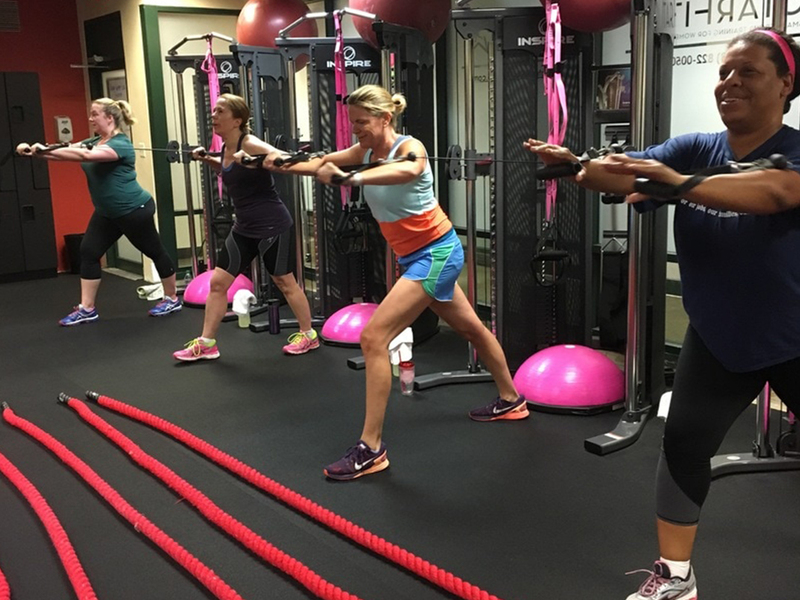 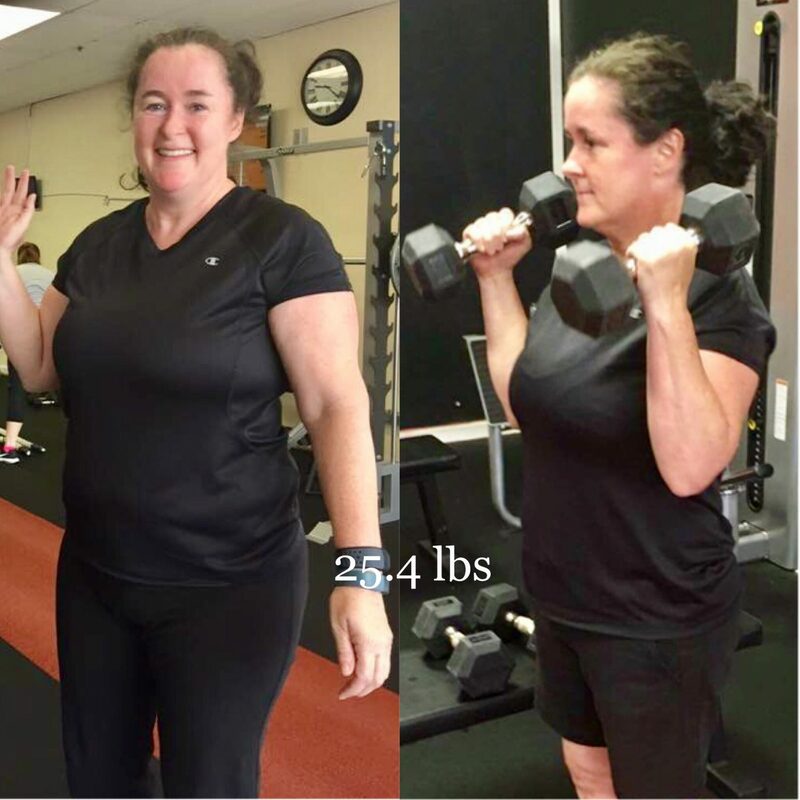 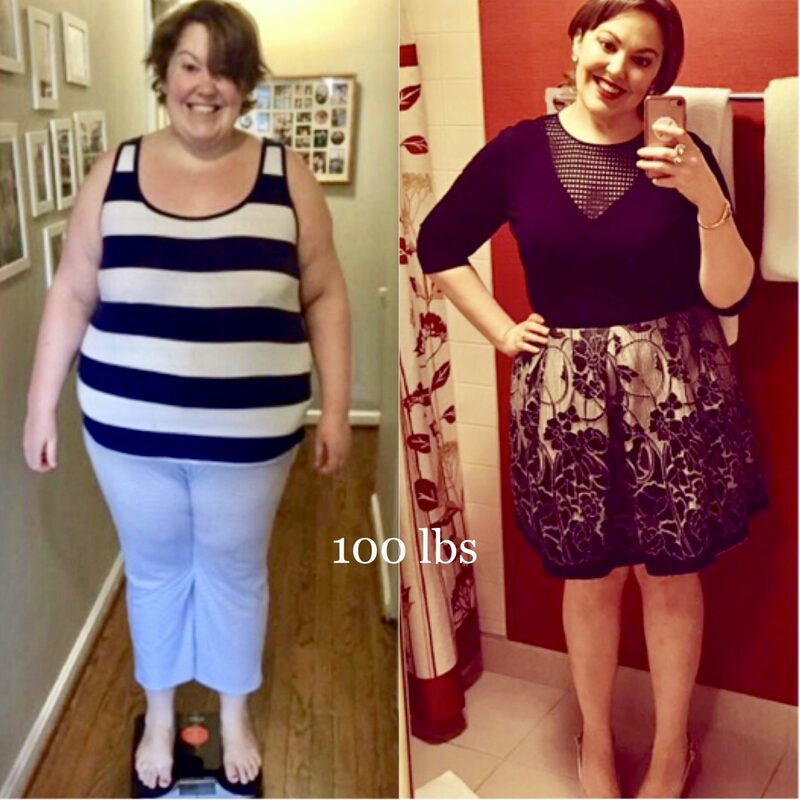 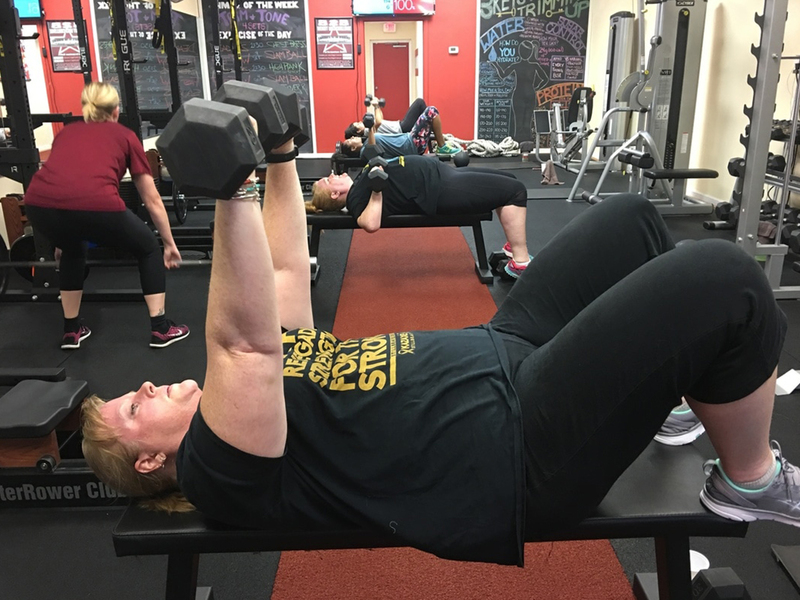 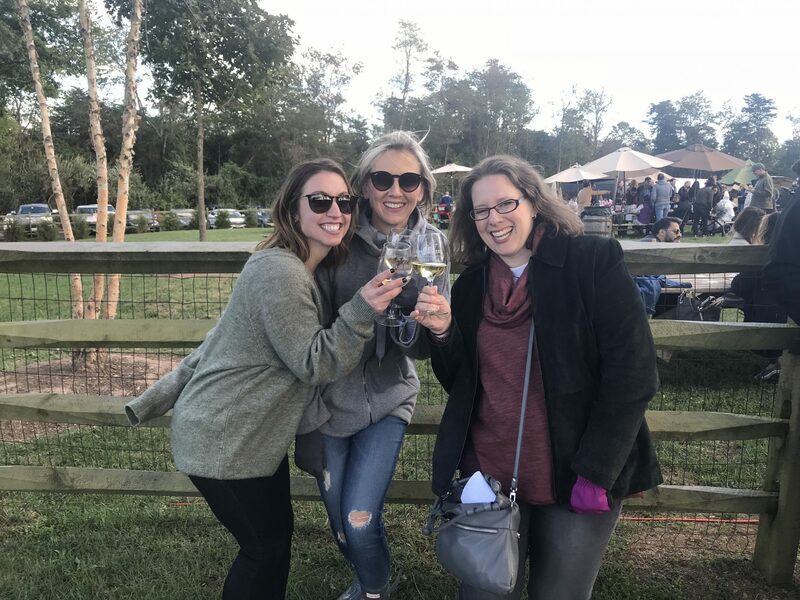 Each class pairs a small group of no more than eight clients with one certified trainer. 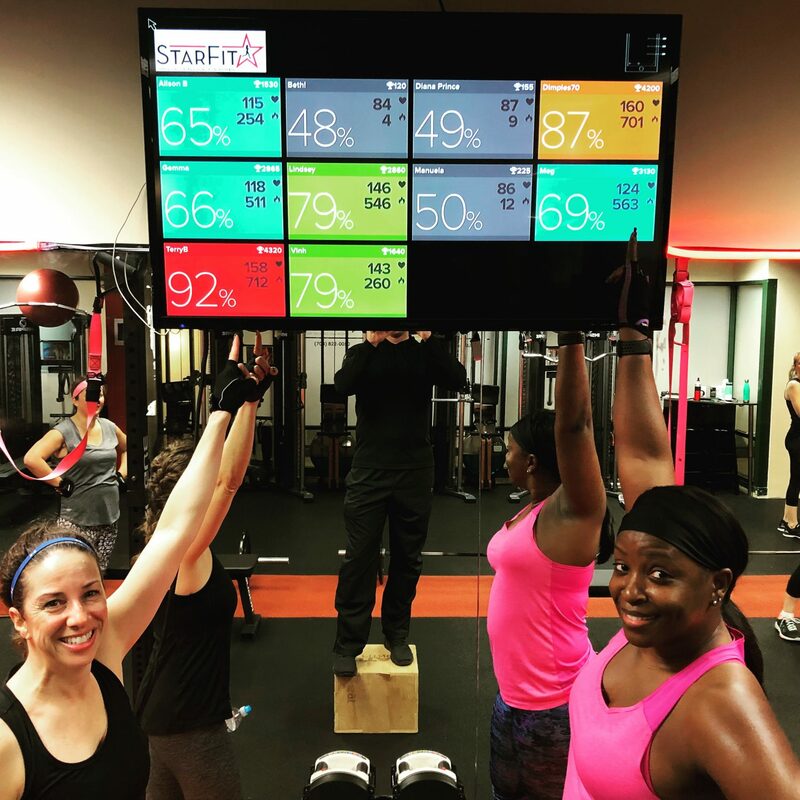 This combined with our interval-based strength training system, and a real-time display of calories and heart rate creates one of the most fun and effective workouts available.